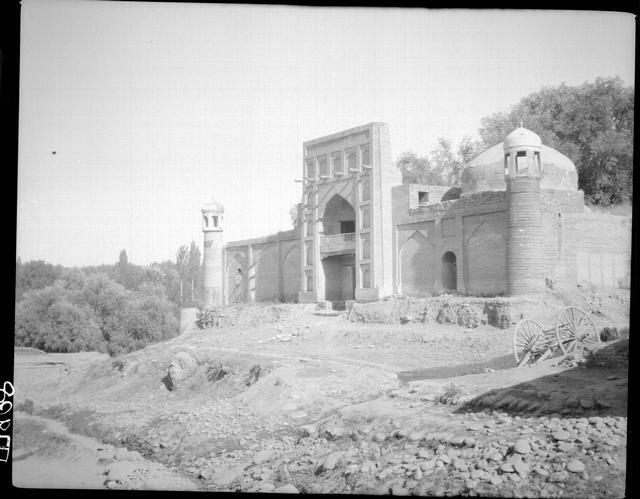 Thanks to the resources of Archnet, we can now browse Ernst Cohn-Wiener's remarkable, photographic collection from expeditions to western Turkestan in 1924 and 1925. Archnet is a globally-accessible resource about architecture, urbanism, environmental and landscape design, visual culture, and conservation issues related to the Muslim world. Born in Tilsit, Prussia, in 1882, Ernst Cohn-Wiener worked as an art historian at the Juedische Volkshochschule and the Humboldt Academy in Berlin. Initially a specialist in German gothic sculpture, his principal fields of interest became Islamic and Jewish art as well as the study of the Near and Far East. Following the rise to power of the National Socialists in Germany, he emigrated to Great Britain in 1933 and in 1934 to India, where he was appointed as manager of the museums and art school in Baroda. There he modernised institutions like the Gallery of Baroda and established new departments for Islamic art and Indian miniatures at the University of Bombay. His wife, Lenni, an archaeologist, assisted him. In 1939 he settled in the United States and taught at the American Institute for Iranian Art and Archaeology until his death in New York in 1941. Cohn-Wiener's works on Jewish and Islamic art were seminal, but remained isolated for a long time. 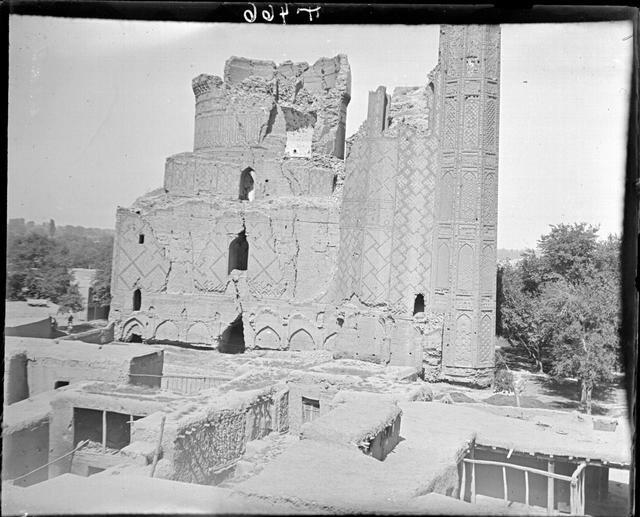 The British Museum acquired the Ernst Cohn-Wiener Photographic Archive from the School of Oriental and African Studies of the University of London in 1998, where it had been kept as part of the Corpus Inscriptionum Iranicarum. The archive consists of 324 film negatives and 567 glass negatives. 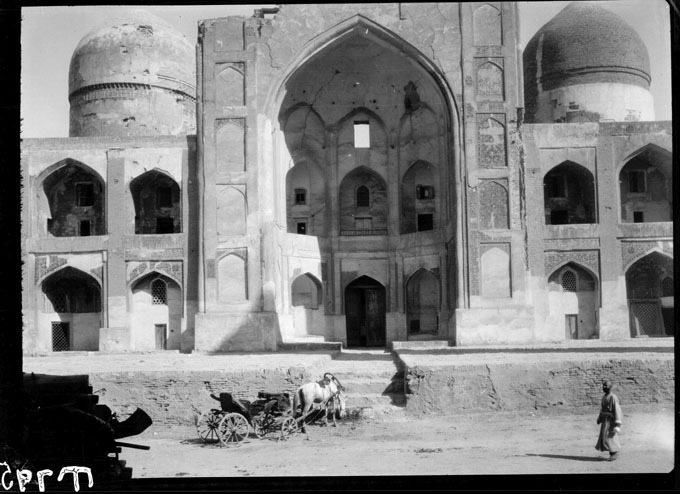 The photographs are essential for the study of architecture in the historic cities of Uzbekistan, Turkmenistan, Kazakhstan and Kyrgyzstan, as some of the buildings photographed are no longer extant, while others have been over-restored. Nearly seven hundred of these black and white photographs are available on Archnet. All the photographs are labelled - simply hover over an image for the location. Click on the title of the building and a more recent image of the buiding is available with an architectural description. Friday mosque with an attached tomb of a saint in Osh, Kyrgyzstan.